BLOOMINGTON, Ind. 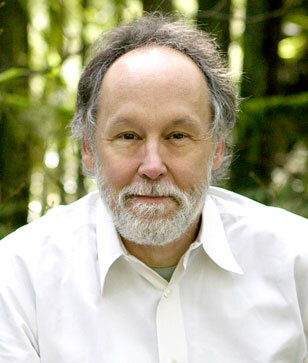 -- Barry Lopez, a well-known naturalist and environmentalist author, will speak at Indiana University Bloomington on Nov. 17. The address, announced by the College Arts and Humanities Institute (CAHI), is free and open to the public. It will begin at 5:30 p.m. in the Indiana Memorial Union Solarium. Loez's visit coincides with the campus's fall 2010 Themester: "sustain•ability: Thriving on a Small Planet." "We are very fortunate to have the opportunity to bring to our campus such a distinguished writer and environmentalist during the 'Themester' devoted to sustainability," said CAHI Director Andrea Ciccarelli. "CAHI is proud to have been able to join forces with such a great initiative and to offer to our community the presence of one of the most vibrant authors and thinkers of today's environmental movement. Lopez is a profound intellectual, a remarkable activist and a great writer." Lopez's writings have often been compared to those of Henry David Thoreau, as he combines erudition, environmental and humanitarian concerns both in his nonfictional and fictional works. In his books and articles, Lopez examines the relationship between human culture and physical landscape, while also addressing issues of intimacy, ethics and identity. Lopez is best known for the books Arctic Dreams, for which he received the National Book Award, and Of Wolves and Men, which was a National Book Award finalist. Lopez is also the author of several award-winning works of fiction, including Field Notes, Winter Count, and a novella-length fable, Crow and Weasel. His recent work includes Light Action in the Caribbean, a collection of stories, and Resistance, Lopez's articulate response to the recent ideological changes in American society. He is also the co-editor, with Debra Gwartney, of Home Ground: Language for an American Landscape, a work that is considered a milestone about the intersection of language, geography and folklore in the U.S. His books, along with his magazine work, reflect a life of travel and cultural inquiry that has taken him to nearly seventy countries. Lopez began his career as a landscape photographer, and he continues to maintain close contact with a diverse community of artists. He is on the advisory board of Theater Grottesco in Santa Fe. He collaborated with composer John Luther Adams on several concert and theater productions and spoke at openings for sculptor Michael Singer and photographer Robert Adams. For more information, contact Luis Roncayolo at 812-856-1169 and lroncayo@indiana.edu.